Shawn Bass - EUC CTO of Desktop Technologies - VMware. TeamRGE is a community group of industry experts with focus on Remoting Graphics for Virtual Desktops and Applications. The goal of this group of thought leaders is to share unbiased and independent knowledge via blog posts, white papers, videos and presentations at local and international events. Shawn is a recognized expert in the End User Computing industry. With more than 20 years of consulting experience, he has worked with all facets of End User Computing (Terminal Services, Virtual Desktops, Application Virtualization and Enterprise Mobility Management) since the very beginning of these technologies. Shawn joined VMware in September 2014 to help lead and define a long-term strategy for VMware’s End User Computing products and works closely with the product team in implementing the strategy in the years to come. 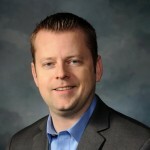 He is currently serving as CTO of Desktop Technologies in the EUC business unit. Follow @shawnbass on Twitter or contact Shawn via email at shawn@shawnbass.com. Dr. Benny Tritsch is a business developer, principal consultant, market analyst, author, and all-around geek specializing in enterprise Windows remoting and virtualization solutions. 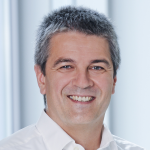 He is Technical Director Central Europe at Lakeside Software and speaks around the world at several conferences each year, including Microsoft TechEd/Ignite, Citrix Synergy, VMware VMworld, BriForum and E2EVC. He has received the Microsoft Most Valuable Professional (MVP) award for RDS since 2004, the Citrix Technology Professional (CTP) since 2006 and the VMware vExpert in 2015. If you want to know more about Benny’s activities in the virtualization community, check out his website at www.DrTritsch.com or follow @drtritsch on Twitter. Ruben Spruijt is Field Chief Technology Officer at Frame, responsible for driving vision, technology evangelism and thought leadership with Frame customers, partners, and communities. Mr. Spruijt is a well-regarded author, speaker, market analyst, technologist, and all-around geek. An established industry leader and luminary. He is a Microsoft Most Valuable Professional (MVP), NVIDIA GRID Community Advisors, VMware vExpert and was in the Citrix CTP program from 2008-2017. He has presented more than 350 sessions at national and international events such as BriForum, Citrix iForum Japan, Citrix Synergy, Gartner Catalyst, Microsoft Ignite, Microsoft TechEd, NVIDIA GTC, and VMworld. 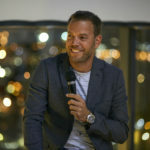 Mr. Spruijt founded several independent industry analysis bodies including Project Virtual Reality Check (VRC), Team Remote Graphics Experts (TeamRGE), AppVirtGURU and WhatMatrix. He has written and co-authored multiple disruptive ‘Smackdown’ research whitepapers. Ruben is an advisor for various start-ups in mobile, community Cloud industry and Remote User Experience Analytics.He is based in the Netherlands where he lives with his wife and three kids. To contact Ruben directly send an email to ruben@rspruijt.com or follow Ruben on Twitter: @rspruijt. It’s only through the effort and persistence of the ‘Smackdown‘ community team that we achieved the goals a big thanks to the ‘friends of TeamRGE’ for contributing and reviewing. Are you looking for an independent overview of desktop virtualization solutions and are curious about different strategies? Follow @shawnbass on Twitter or contact Shawn via email at shawn@shawnbass.com. If you want to know more about Benny’s activities in the virtualization community, check out his website at www.DrTritsch.com or follow @drtritsch on Twitter. To contact Ruben directly send an email to ruben@rspruijt.com or follow Ruben on Twitter: @rspruijt.